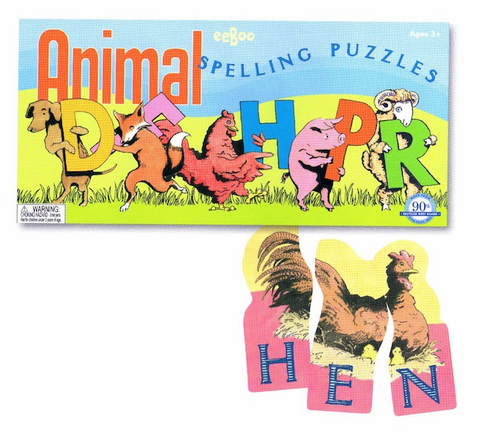 10 animal spelling puzzles. Put the head and tail on either end, and make a puzzle friend. But there's more to this pre-reading game: the puzzle also spells its name.